Holiday Club Service – Sunday 7th August 10:30am. 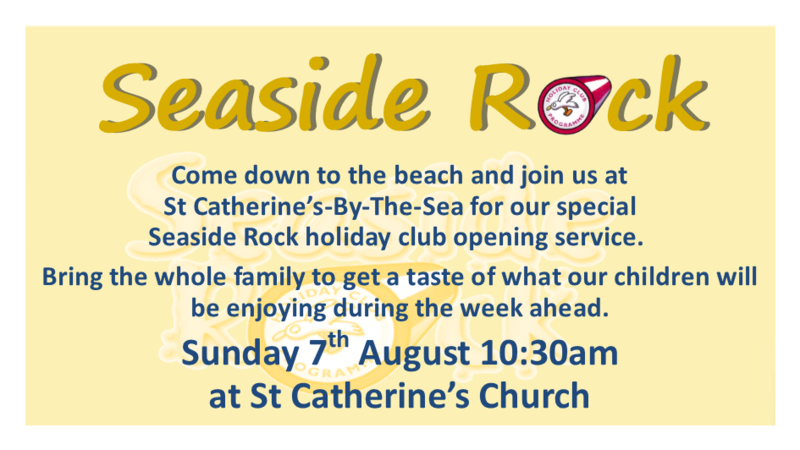 Sunday 7th August is the “Seaside Rock” Holiday Club opening service starting at the later than normal time of 10:30am. Cornwell Community Church will be joining us for this special joint service. So come down to the beach and join us at St Catherine’s-By-The-Sea. Bring the whole family to get a taste of what our children will be enjoying during the week ahead.